Wild Appetite's Double Chocolate is an excellent addition to many types of desserts. Its delicious taste matches perfectly with ice creams, waffles, toasts and hot baked puddings. It is also perfect as a topping for fruits or your tasty cakes. The Wild Appetite production process begins with high-quality ingredients that are well-balanced for an extraordinary culinary experience. 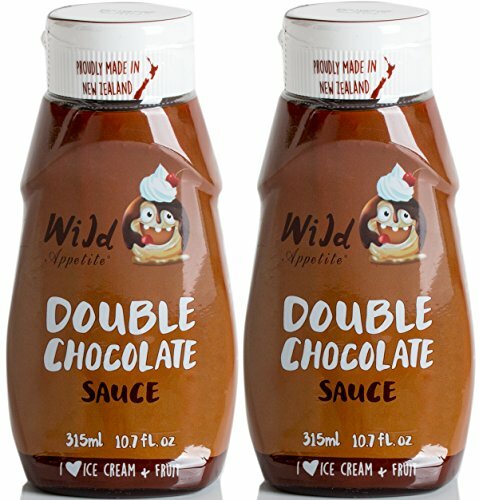 Since our inception in 1989, Wild Appetite has matured into a vibrant heritage brand, manufacturing and marketing an extensive range of food sauces, dressings and condiments enjoyed by consumers in New Zealand and around the world. Starting on a blueberry farm in the Matakana region, just north of Auckland in the North Island of New Zealand, local produce of fruit and vegetables were naturally preserved, pickled and packed into an array of delicious sauces and condiments for the New Zealand gourmet gift market. Wild Appetite has won a total of fourteen LONDON GREAT TASTE AWARDS, proof that our products are up there with the best in the world. As the Company has continued to grow in existing sectors, so too have innovative developments and the launch of new product groups into the mainstream grocery sector. We continue to use fresh ingredients where available that exclude artificial additives to optimize taste and flavor of our finished products. Wild Appetite is passionate about the foods we create. Our goal is intriguing vibrant taste and culinary craft. If you have any questions about this product by Wild Appetite, contact us by completing and submitting the form below. If you are looking for a specif part number, please include it with your message.